After college I decided to flee my Midwest roots for the warm sun of North Carolina. I had only previously driven through, on my way to the further southern destinations of Savannah or Hilton Head but I thought Charlotte seemed like a good option. 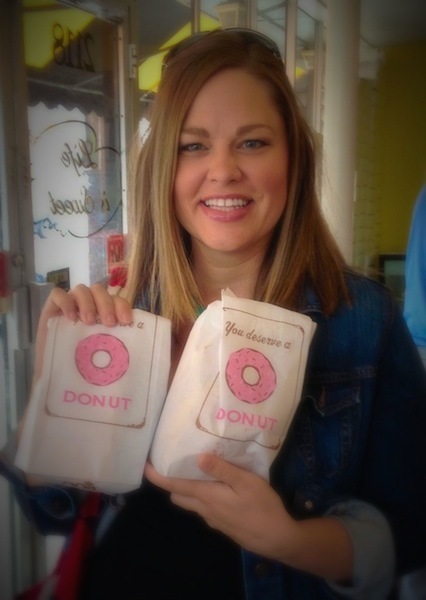 Teachers were in high demand, summers were longer, winters were milder and sweet tea was plentiful. I visited the area over spring break and lined up a job and an apartment after graduation. I only ended up stayed for a year (sorry North Carolina but teachers leave the profession in droves because you don’t pay them a fair wage) and moved back to Ohio. Although my life in North Carolina didn’t necessarily turned out as I envisioned, I feel fortunate I had the experience. While being a first year teacher and juggling three jobs, I did manage to meet one of my best friends, Whitney, when we were set up by her father who insisted we were destined to be friends because we were essentially the same person. He was correct! I was also introduced to a new cornucopia of delectable food: catfish nuggets, low country shrimp boil, authentic southern bbq and fried okra. My overwhelming favorite of all the new foods I experienced was pimento cheese. Since then, I have been crafting my own perfect pimento cheese using some decidedly non-traditional ingredients…don’t tell my southern friends. 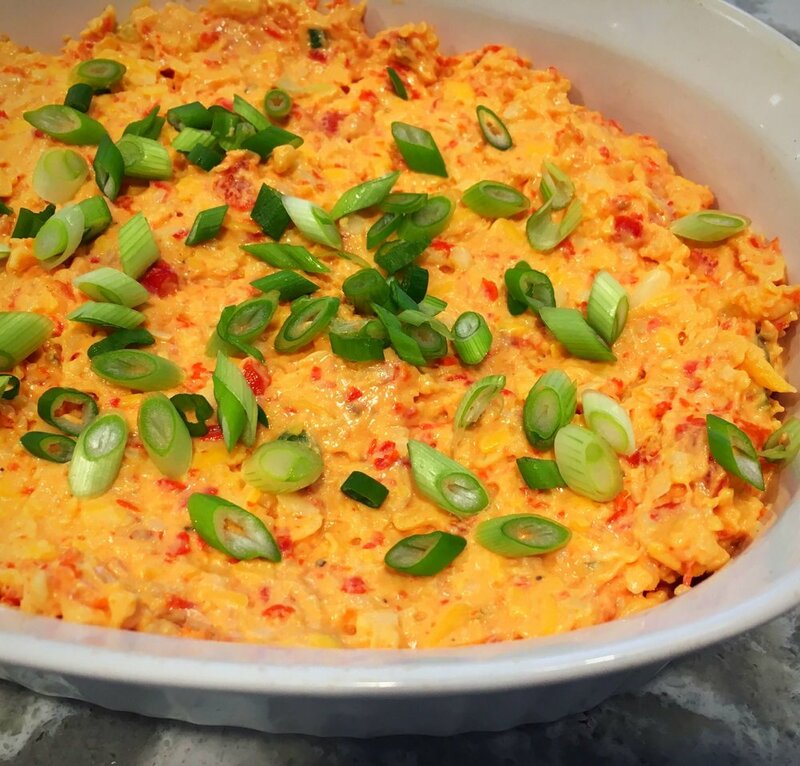 My perfectly peppery pimento cheese is my go to appetizer for any party, event or lazy evening at home. 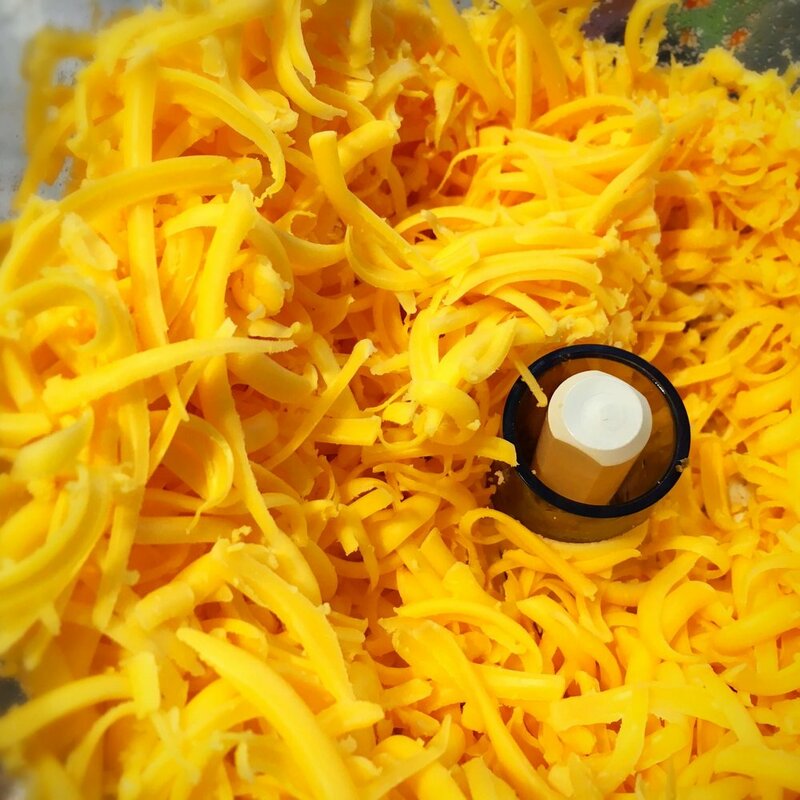 Using a food processor it takes just minutes to prepare, can be served hot or cold, eaten with crackers, on bread, or with a spoon and is full of spicy, cheesy goodness. This is one of my most requested recipes and I knew I had to add it to my blog when after a recent party, everyone requested the recipe. Perfect for a picnic, barbeque or light dinner with a salad, I’m confident this perfectly peppery pimento cheese will become a family favorite after one bite! Preheat oven to 350 if serving pimento cheese warm. Take the cream cheese out of the refrigerator to bring to room temperature. Put in microwave for 30 seconds if necessary. 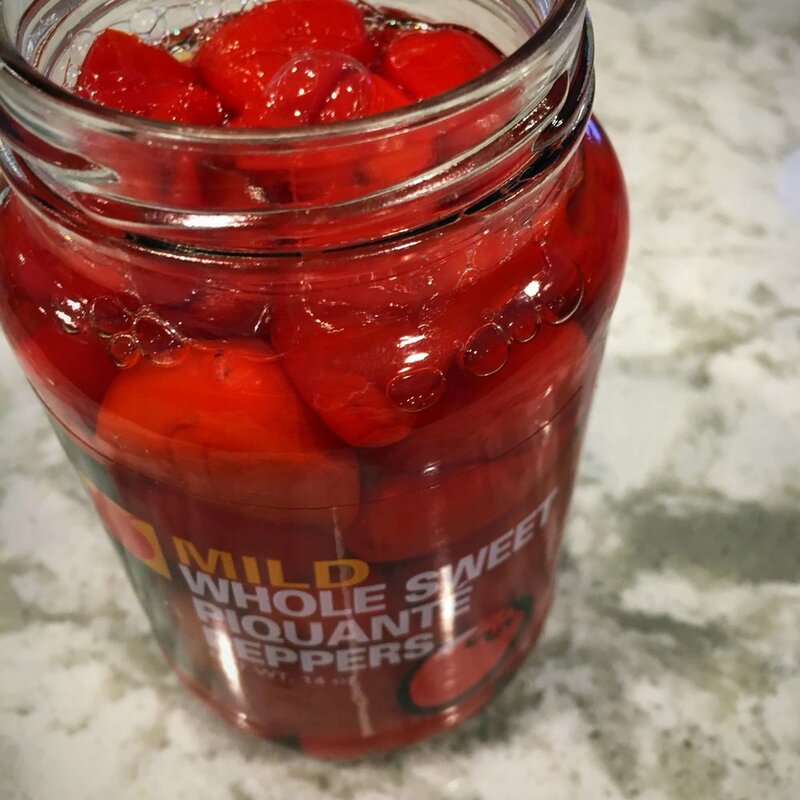 Make sure your peppadew peppers are drained and add them to the food processor. Using the S blade process until the peppers are finely diced. You can either leave them in the food processor or place them in a large bowl. Change the blade in the food processor to the grating blade. Grate the cheddar and the pepper jack cheese. In a large bowl, mix together all remaining ingredients, except for half of the sliced green onions. Add your diced peppers and grated cheeses into the large bowl with remaining ingredients and fold together with a spatula until everything is well mixed. Spoon pimento cheese into an oven safe 1.5 quart dish and sprinkle top with remaining green onions. Your pimento cheese is done if you want to enjoy it cold. For hot pimento cheese, cover the dish with foil and put in a 350 oven for 20 minutes then remove foil and cook for additional 5 minutes. Personally, I prefer a hot pimento dip when served with crackers (Ritz are best!) and I like keeping it cold when I serve on fluffy white bread for sandwiches!